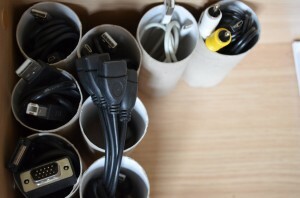 I recently stumbled upon a Pinterest picture of cables inside toilet paper tubes. 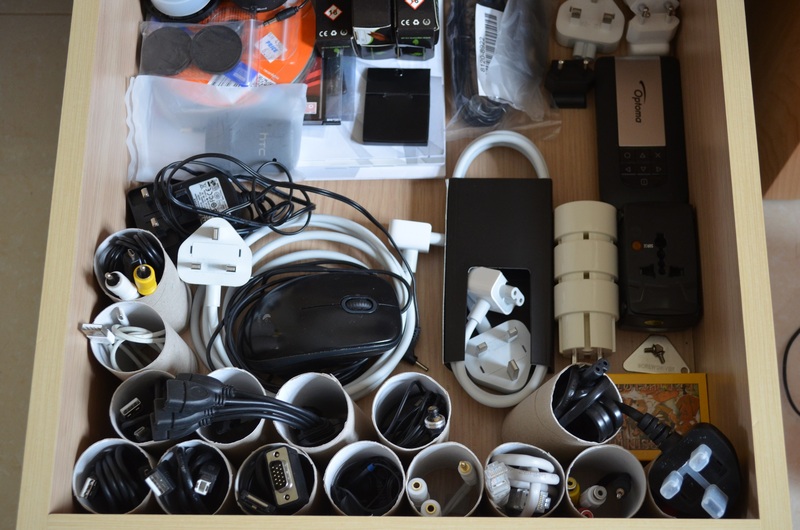 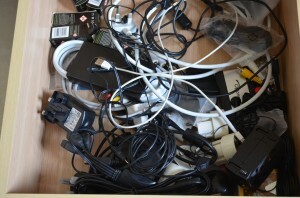 I know, I know, doesn’t reallt sound like the tidiest option, but if your cable drawer look something like this, then maybe you should also give it a go. 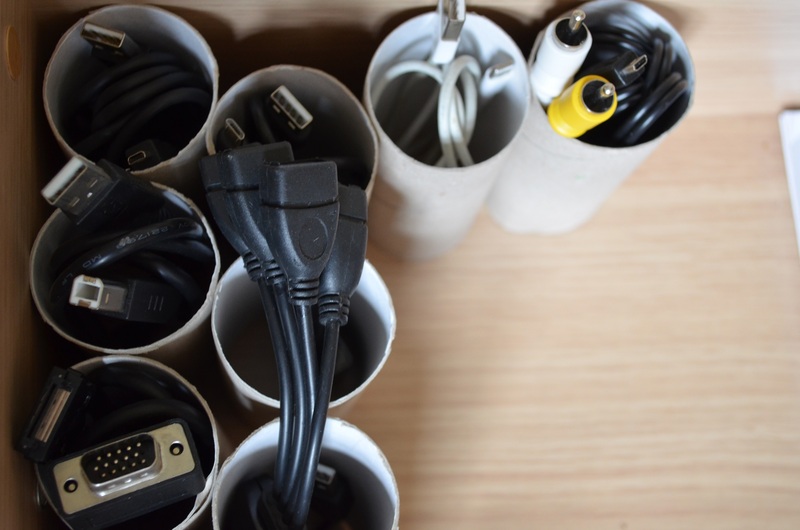 I managed to put almost all my cables in the tubes, apart from a few bulkier ones, like a MacBook charger, but I think this looks definitely better than before. Another bonus of using tubes is that I can easily see what cable is what, since I’ve put the two ends of a cable facing up.